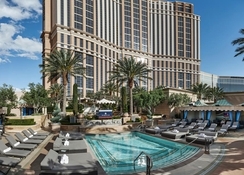 The Palazzo Las Vegas is a stylish hotel located in the heart of Las Vegas Strip, next to the Venetian. 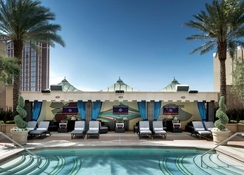 The hotel enjoys a convenient location, as it is only 20 minutes from the airport by car, making it an ideal choice for guests who want to explore the famous Las Vegas Strip. This five-star hotel offers its clients quality leisure options and services, as well as spacious and elegant rooms. The hotel also has conference facilities, ideal for business travellers. It is a perfect place for all those who want to enjoy a classic and elegant ambiance. 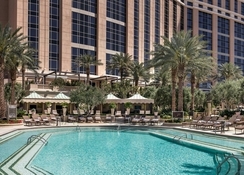 The Palazzo Las Vegas is located in the final part of the Las Vegas Strip, in the Paradise area. The hotel is in close proximity to the Convention Centre, the Fashion Show Mall and other shopping areas. The McCarran International Airport is 4km from the hotel, while the Fremont Street Experience is about 9km. 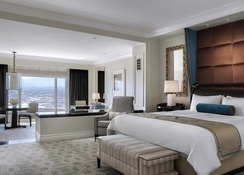 The Palazzo Las Vegas hotel features all beautifully appointed Italian-style suites (approx. 720 square feet) consisting of a marble entrance hallway, crown moulding, a canopied king-size bed with reading lights, an extra sofa bed and a sitting area in a lower level. Room amenities include plush bedding, a large bathroom with a roman bathtub and king or queen beds with views. There are 17 acclaimed restaurants in the hotel that range from world-renowned chefs such as Wolfgang Puck, Emeril Lagasse and Thomas Keller to informal dinners or coffee shops. The SushiSamba restaurant offers Peruvian and Spanish cuisine while The Grand Lux Café is the go to place for American cuisine. The Hong Kong Café is open for lunch and dinner and offers authentic Asian cuisine. Visit CUT by Wolfgang Puck for tender juicy steaks and meats. The hotel also offers Italian cuisine at Carnevino restaurant. 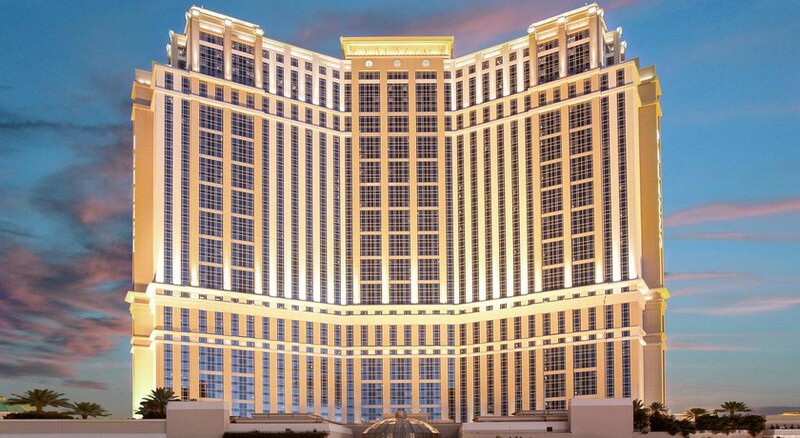 The Palazzo Las Vegas is an impressive tower of 36 floors that recreates the Venice of the Renaissance. As you approach the hotel you can see elegant arched bridges, canals and lively squares, the famous Bell Tower, gondolas and gondoliers that welcome you. The hotel features a wellness area with gym, whirlpool and steam bath. The guests can take a refreshing dip in the outdoor pool. The beauty section offers a wide range of massages and beauty and body treatments for the travellers. The hotel offers recreational activities, such as golf, billiards, mini golf or volleyball. Your child can conquer the children's playroom. This hotel allows families a child care service. Activities nearby include cycling. In the evening, the hotel invites visitors to a casino visit.